NC shape and straight cutting machine (Multi-type) - SHIRAI TECH, LIMITED. This processing machine has been designed to process small-sized industrial glass panels quickly and cost-efficiently. 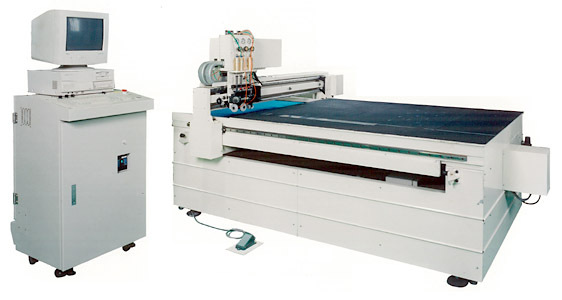 Alongside being able to cut a single glass panel into various sizes and rectangular shapes in a single process, this NC shape and straight cutting machine automatically calculates the cutting pattern using a built-in computer, and uses multiple cutter axes when cutting the glass, thus improving the efficiency by up to 10 times of conventional machines. For 36"x32", For 48"x36", For 60"x32", For 72"x48"
Largest cut-out shape and multiple cut-outs from single sheet of glass.